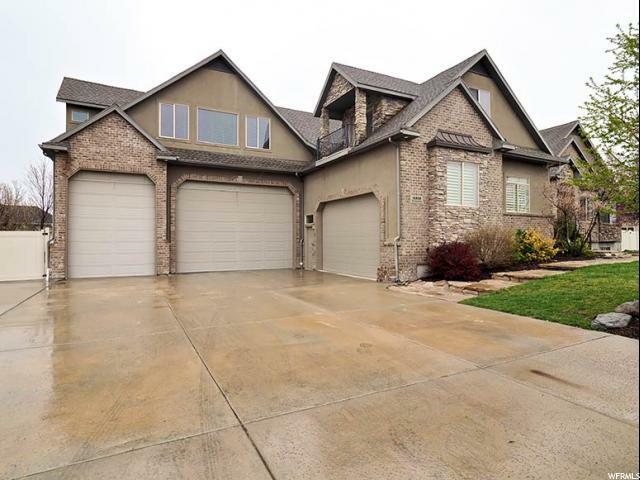 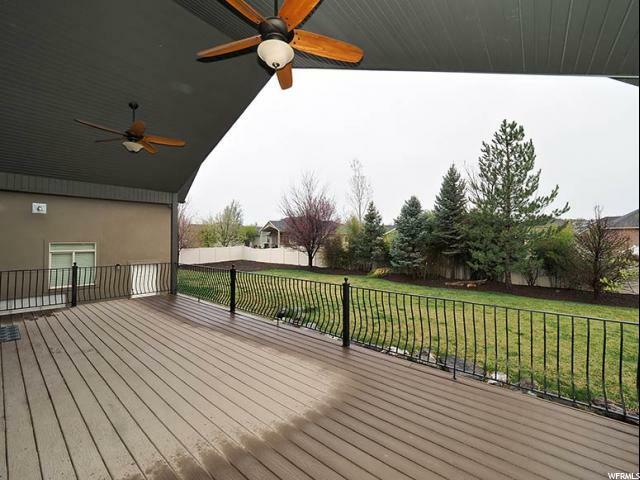 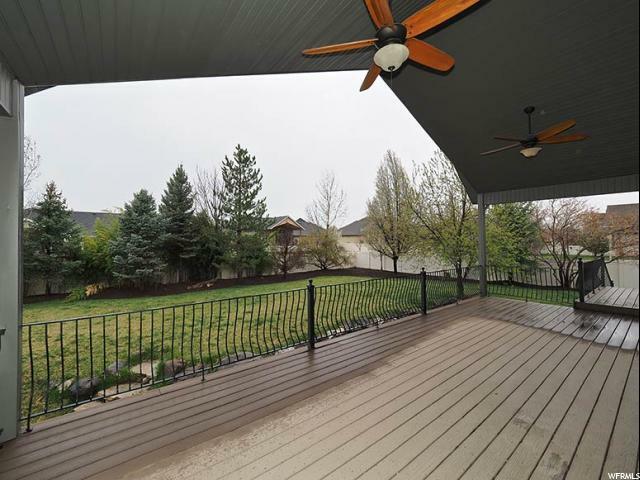 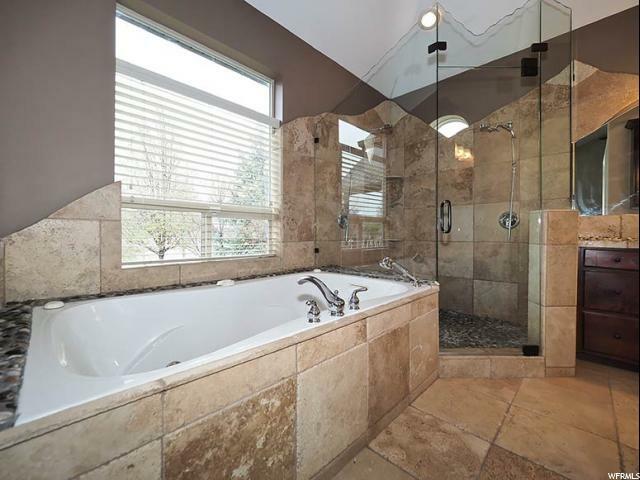 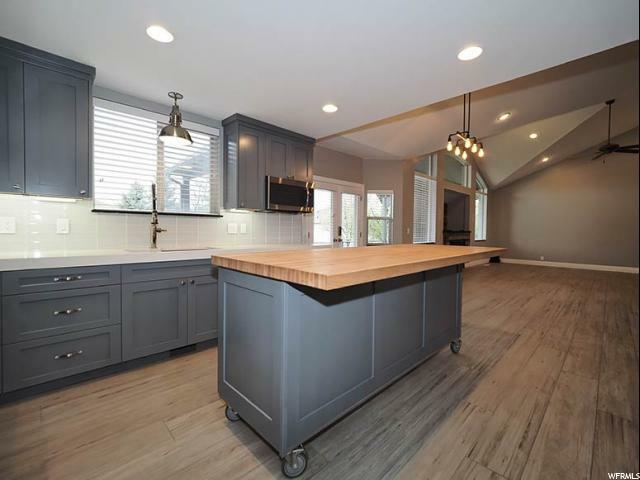 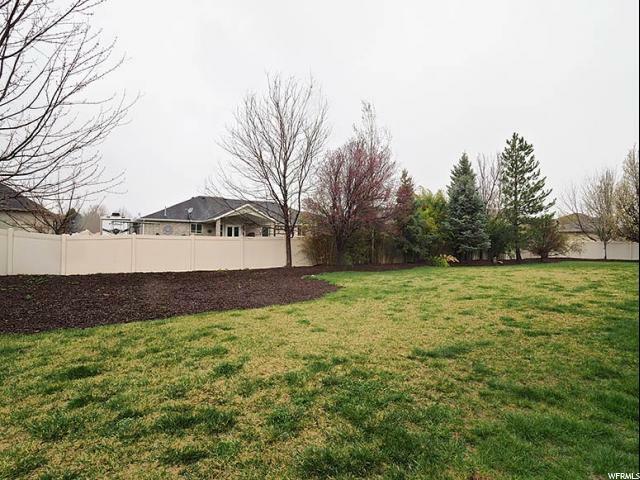 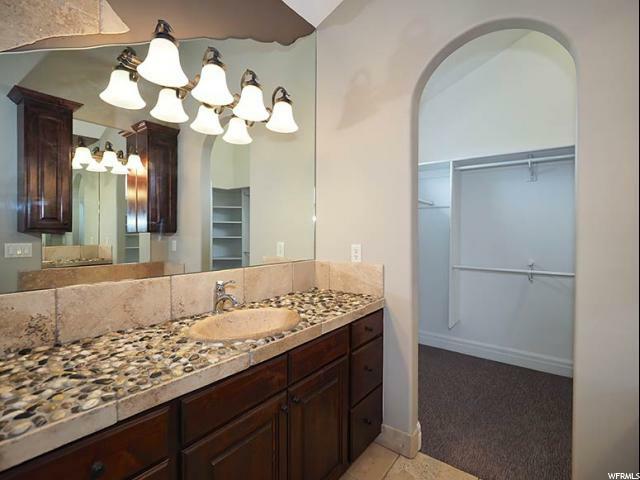 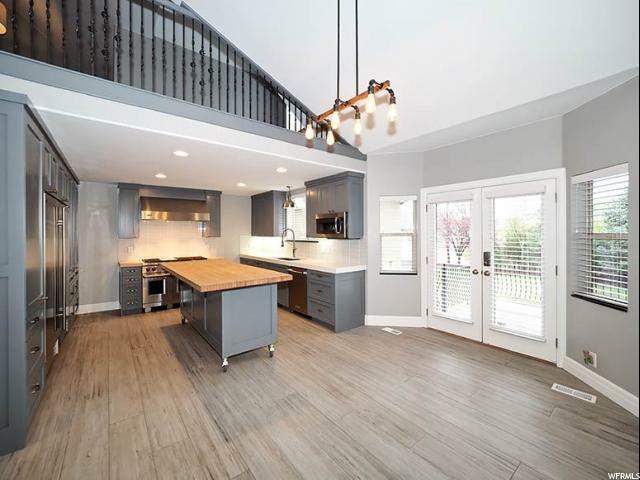 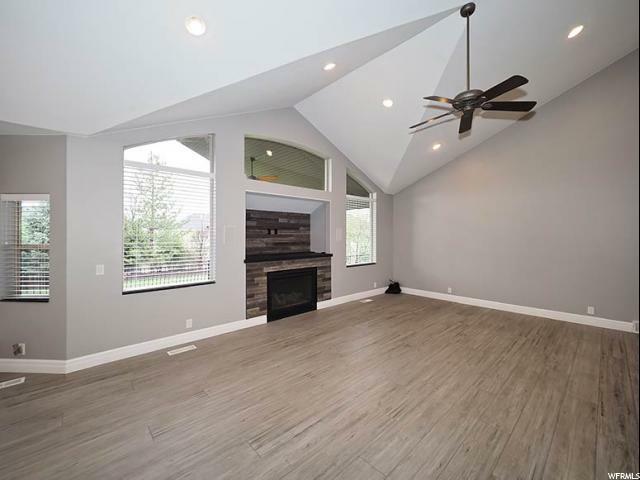 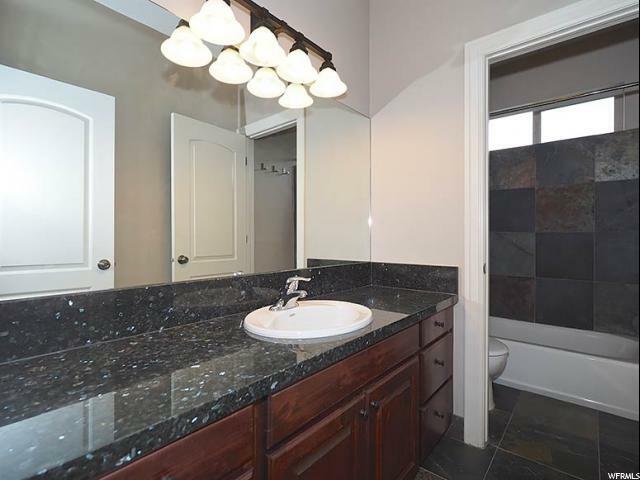 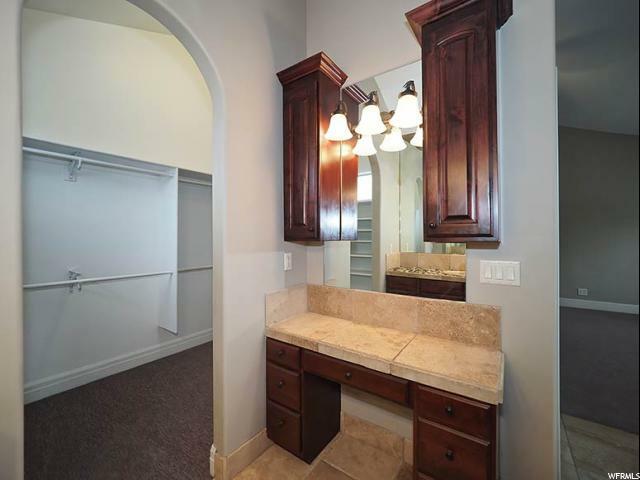 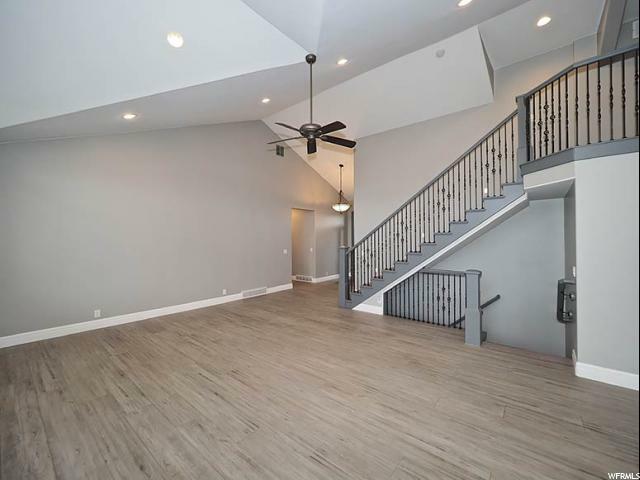 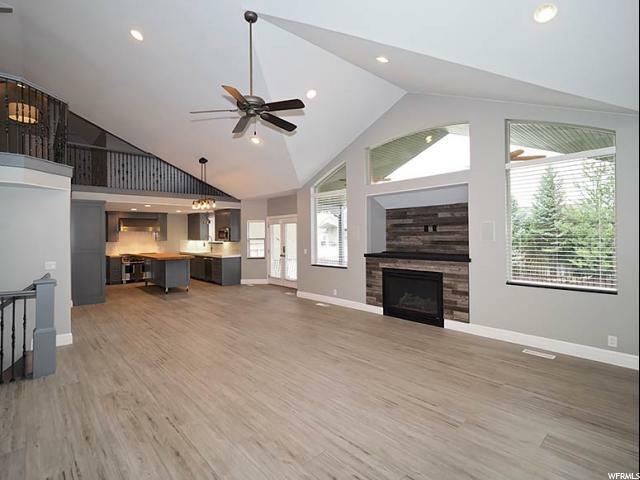 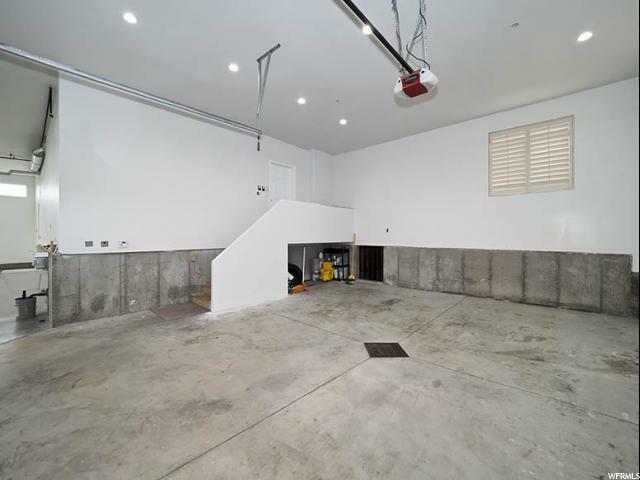 Freshly updated South Jordan Home with a HUGE 2,500 sq ft fully finished garage. 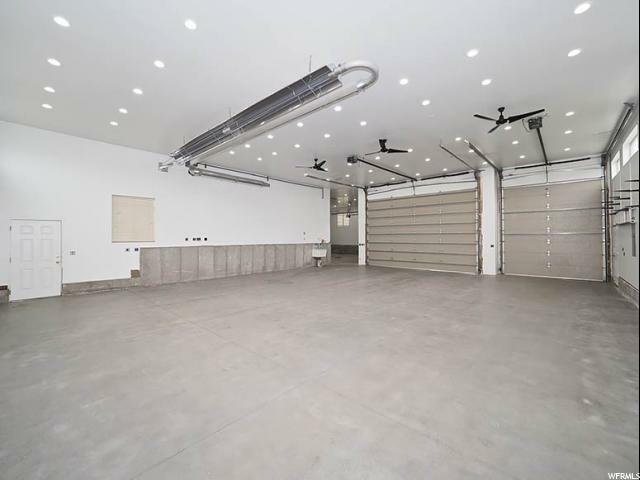 The 10+ car garage has a new 6 5k PSI floor, 14' ceilings, 12' high garage doors, ample 110v & 220v outlets. 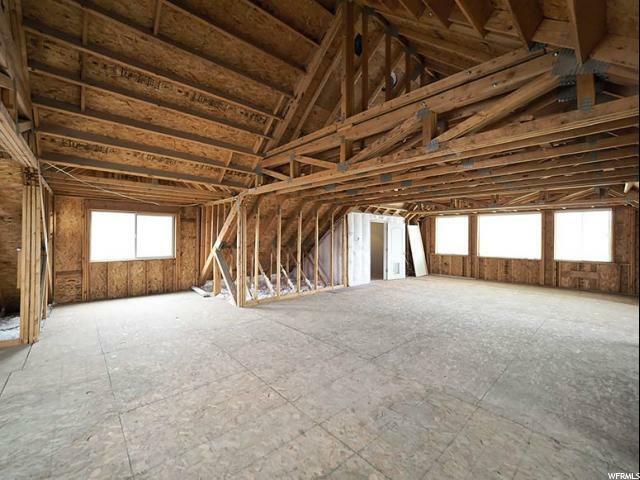 LED lighting, radiant heat and air conditioning. 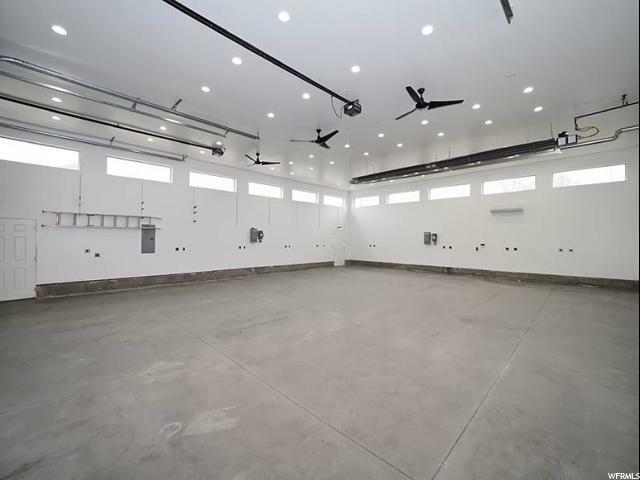 Perfect for storing your RV, toys, a workshop or even a home based business. 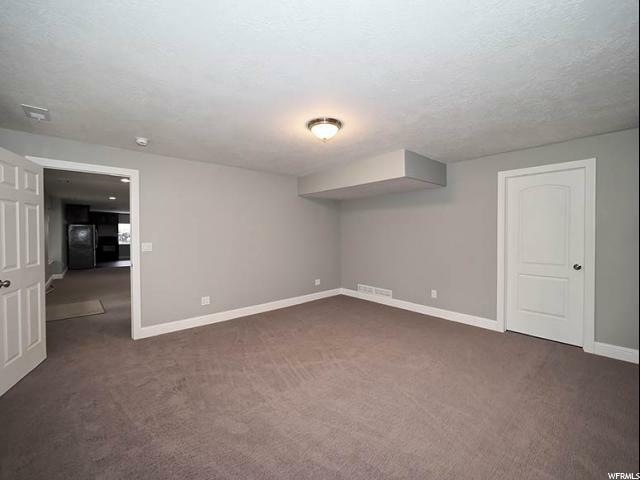 RV parking with 50 amp power. 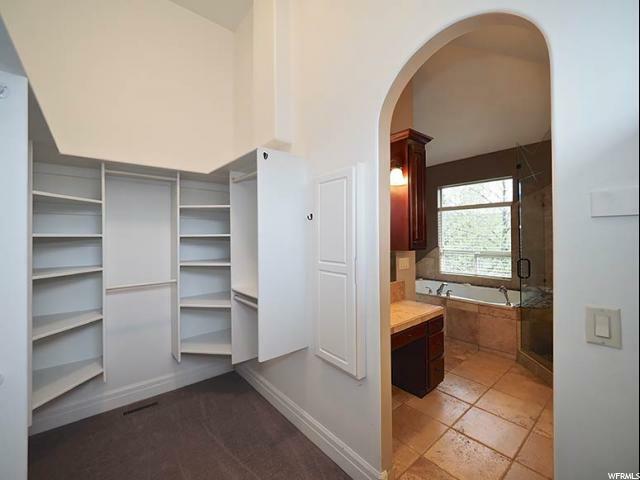 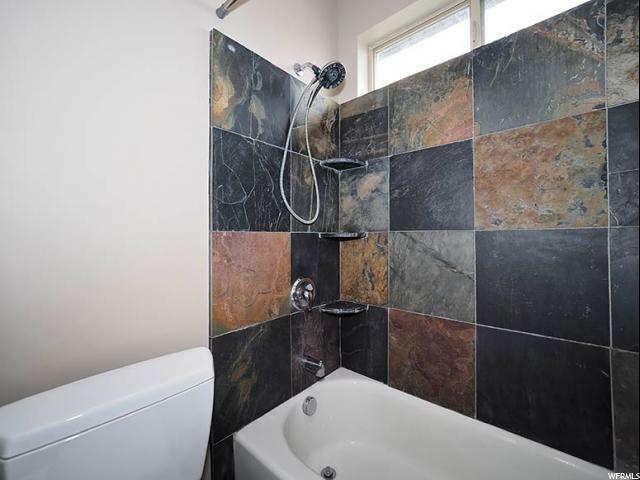 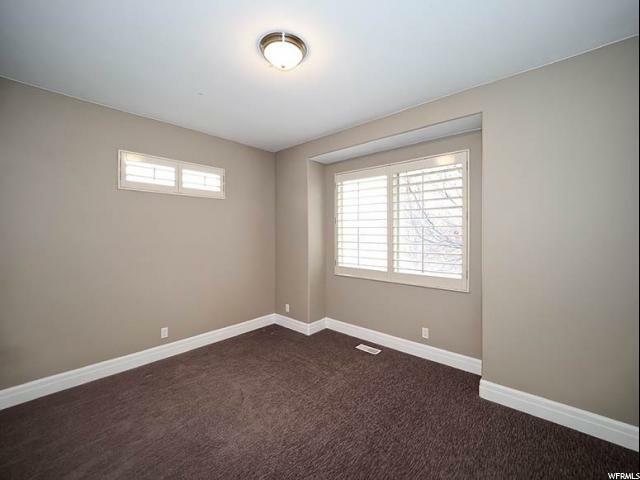 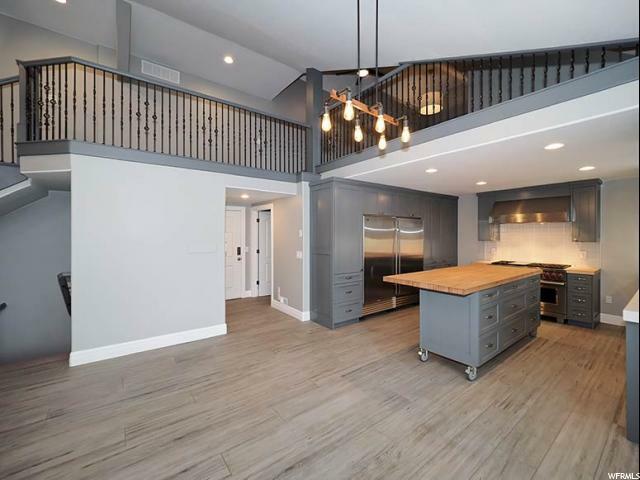 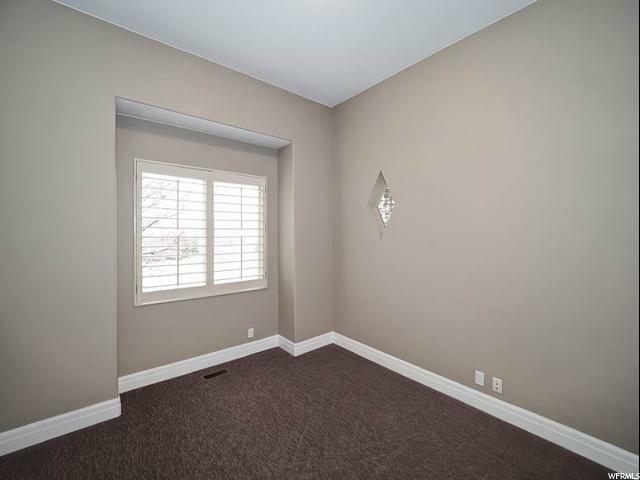 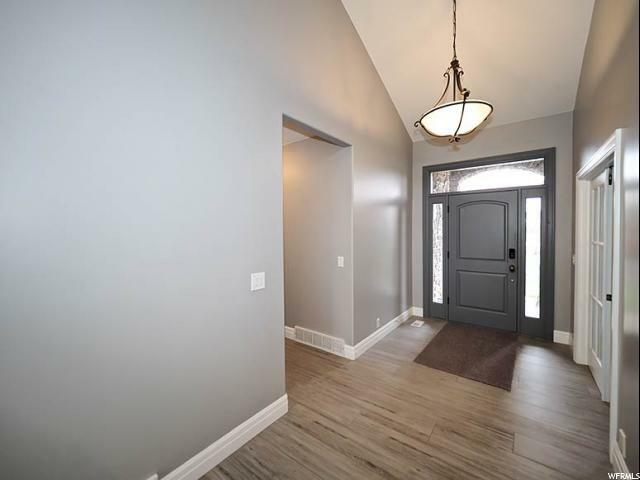 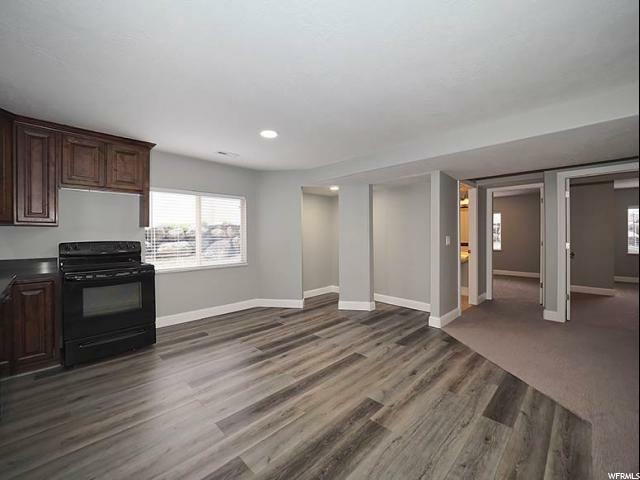 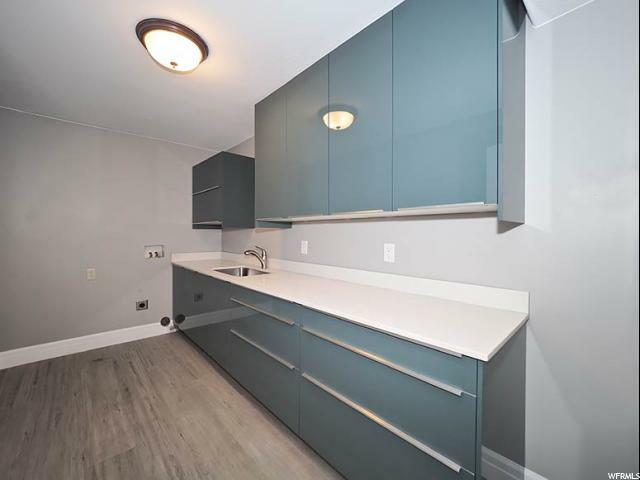 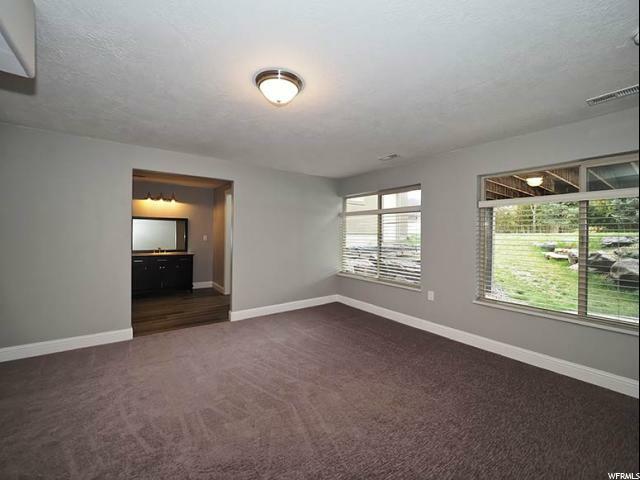 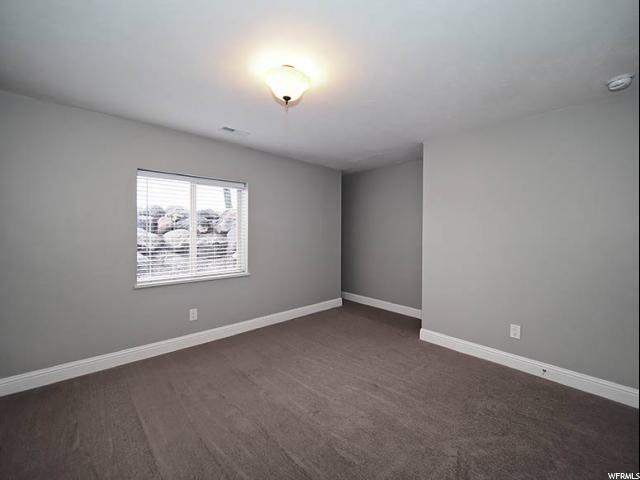 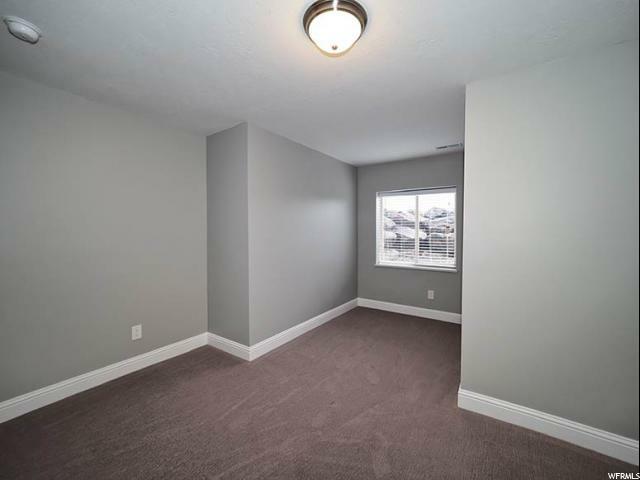 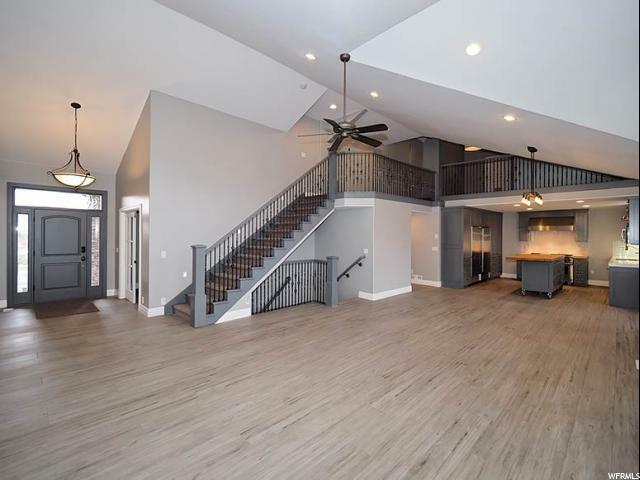 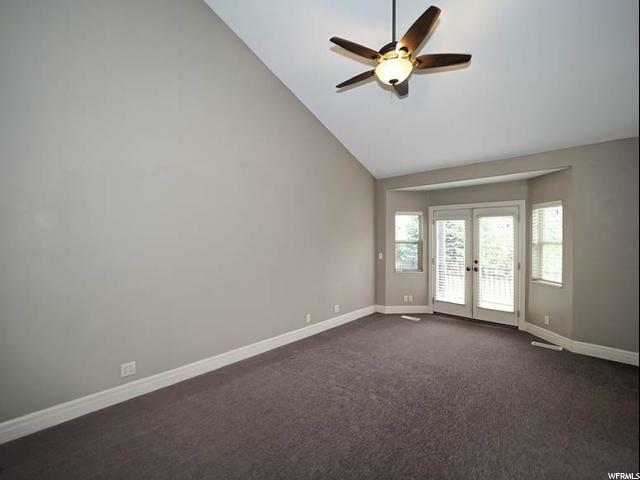 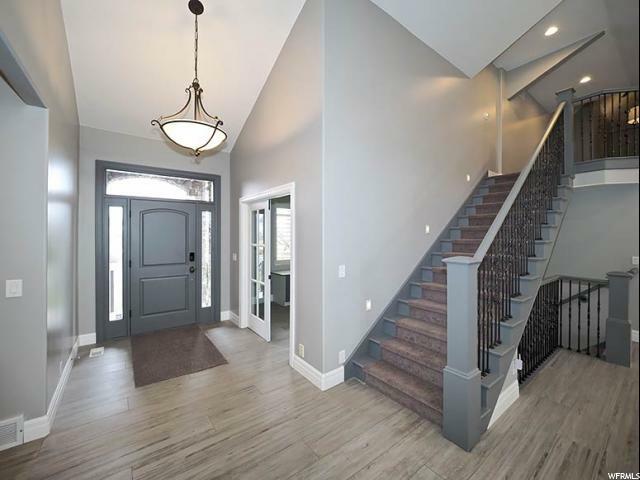 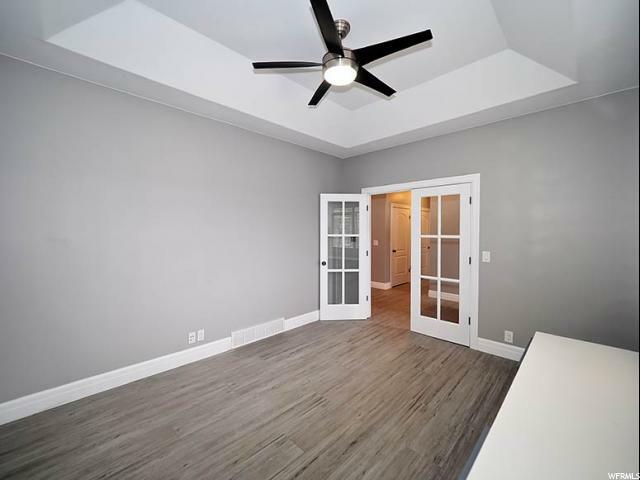 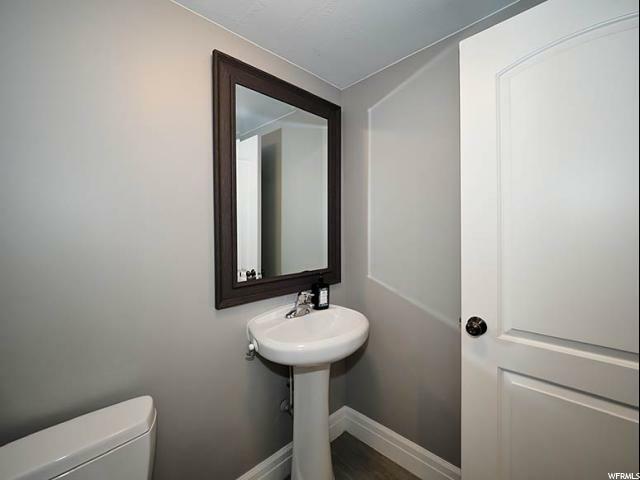 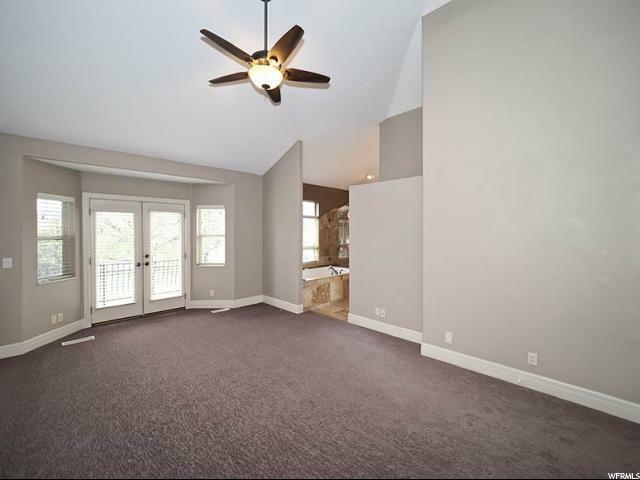 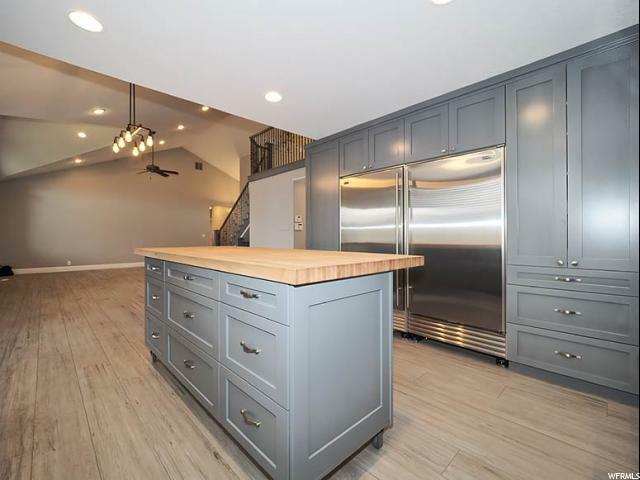 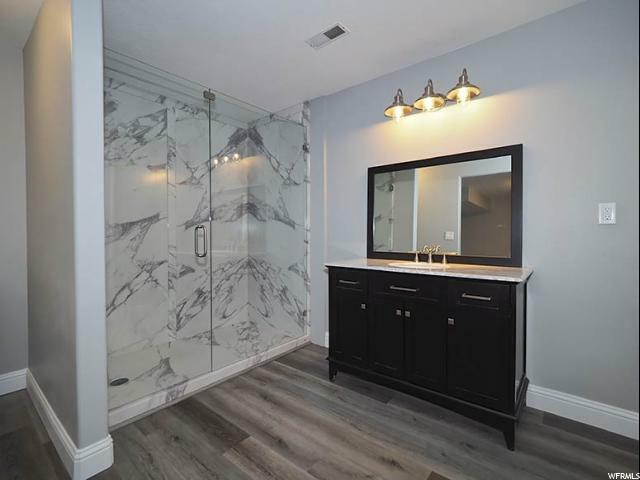 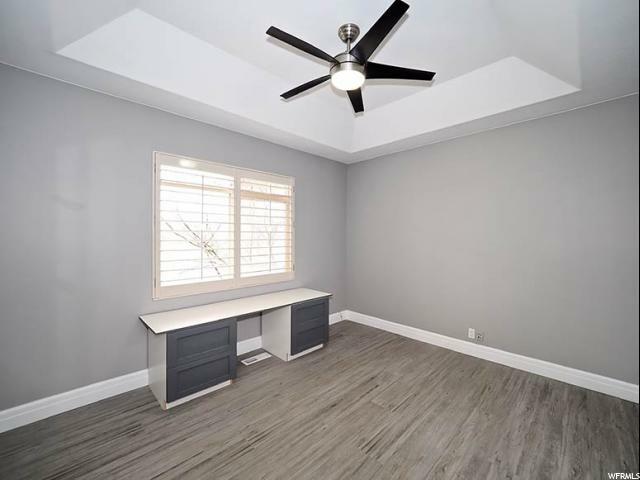 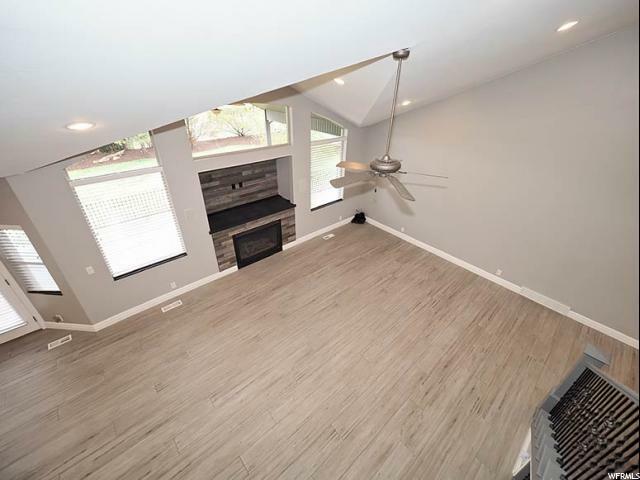 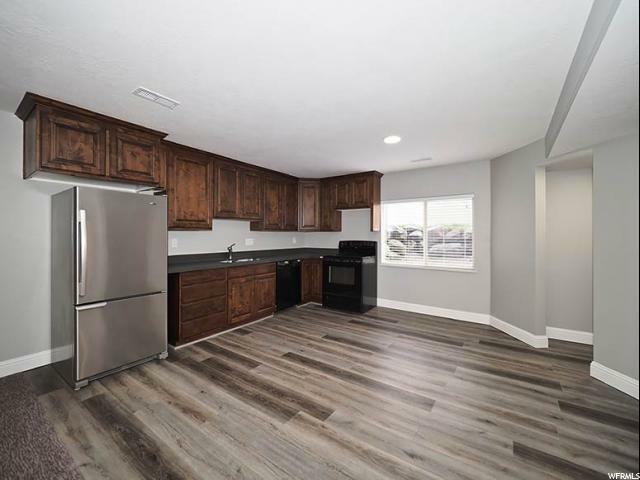 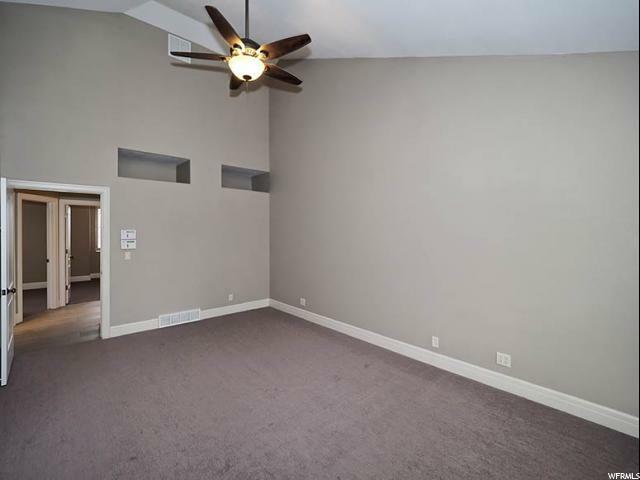 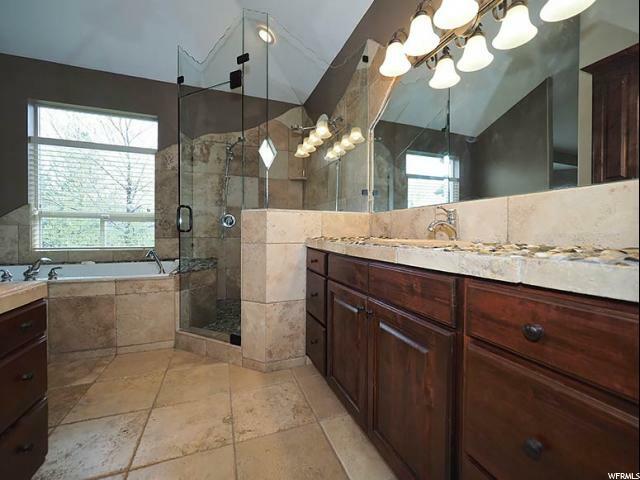 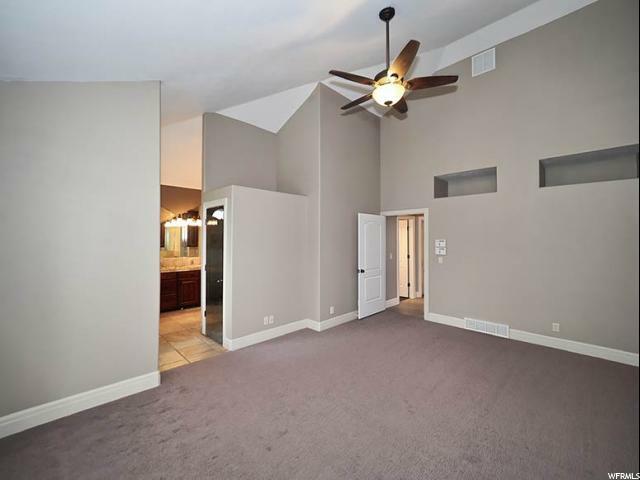 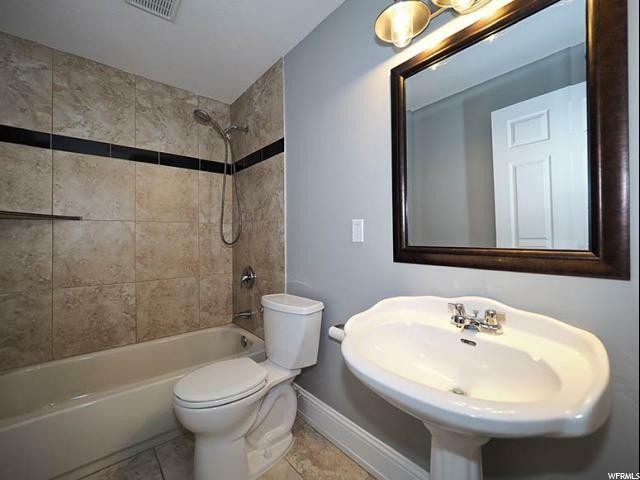 The home itself features new porcelain tile, carpet and paint throughout. 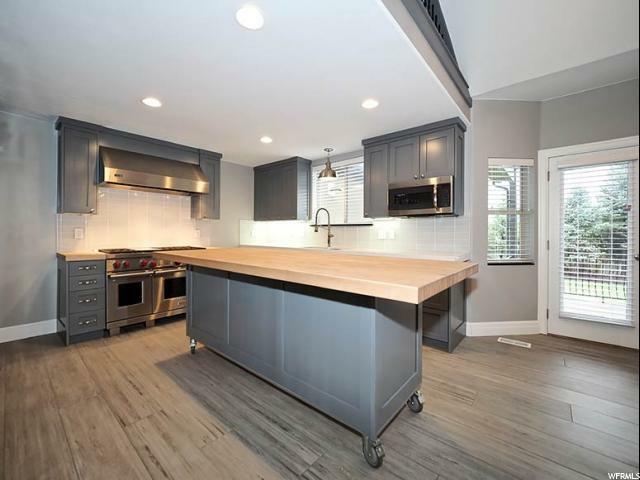 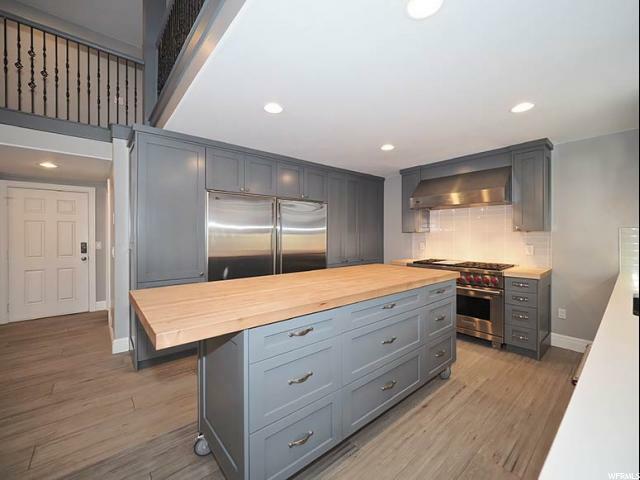 Beautiful gourmet kitchen includes new custom cabinets with quartz counter tops and a huge butcher block top island. 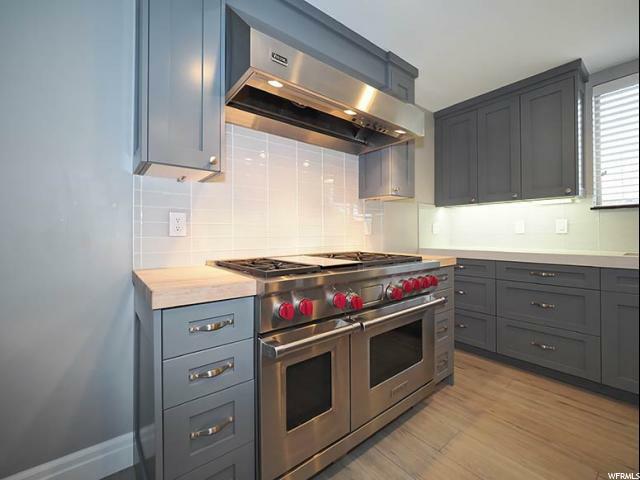 High-end appliances include a 48 Wolf dual fuel range and 72 Sub Zero fridge/freezer. 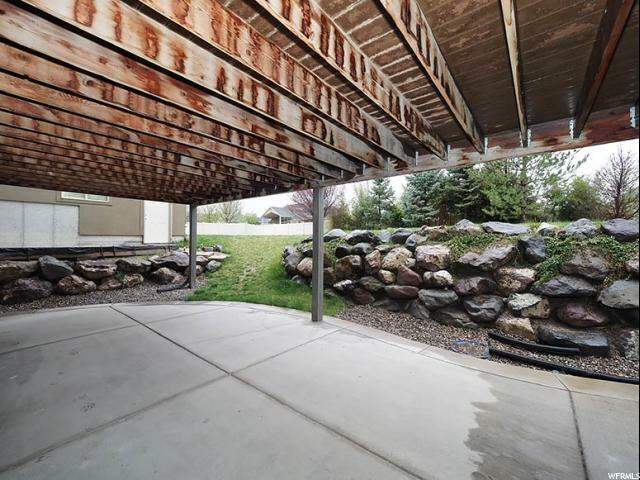 Huge covered deck. 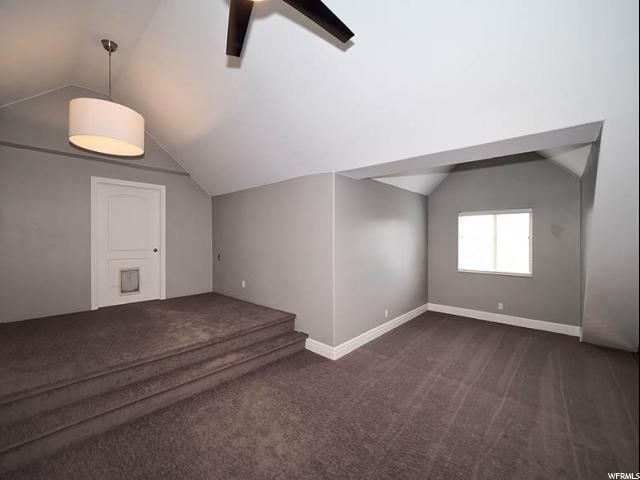 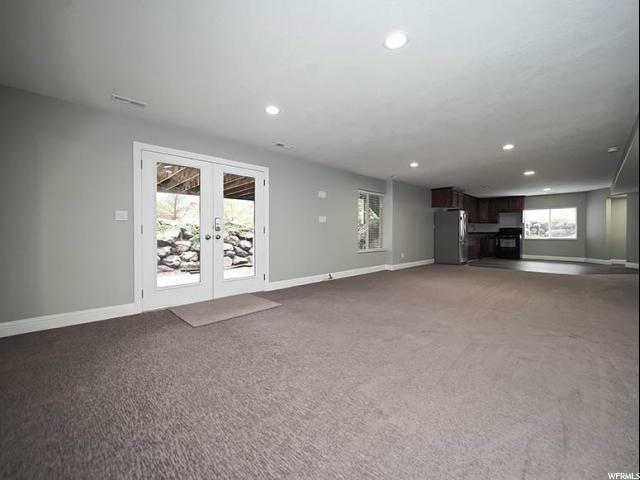 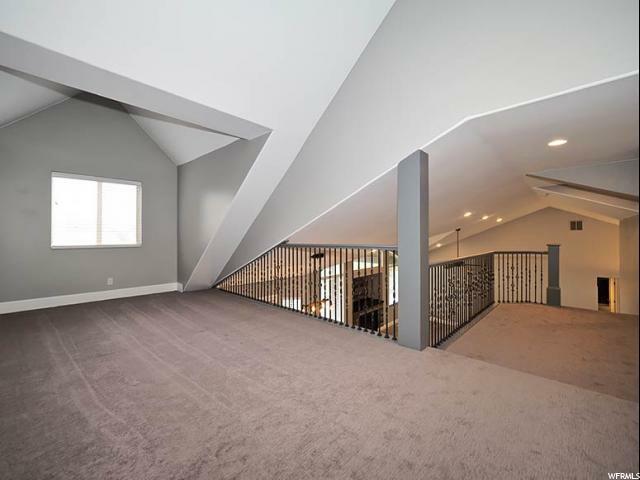 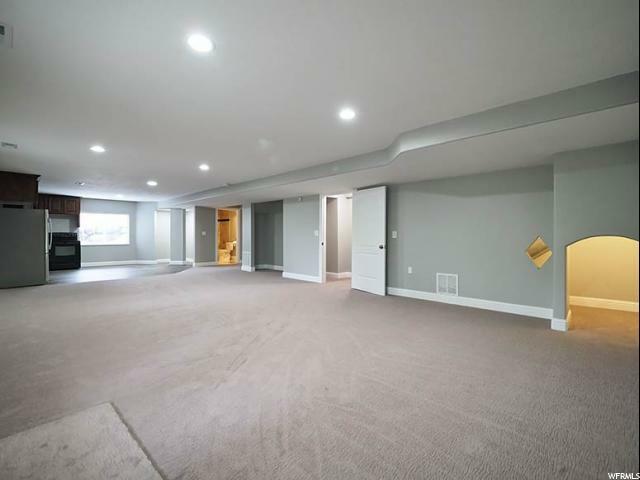 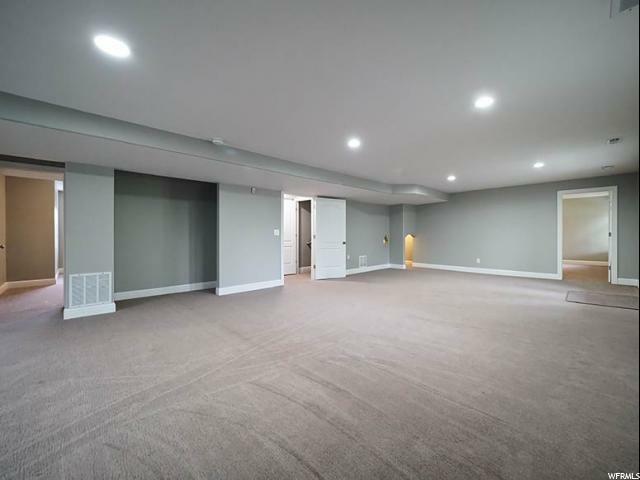 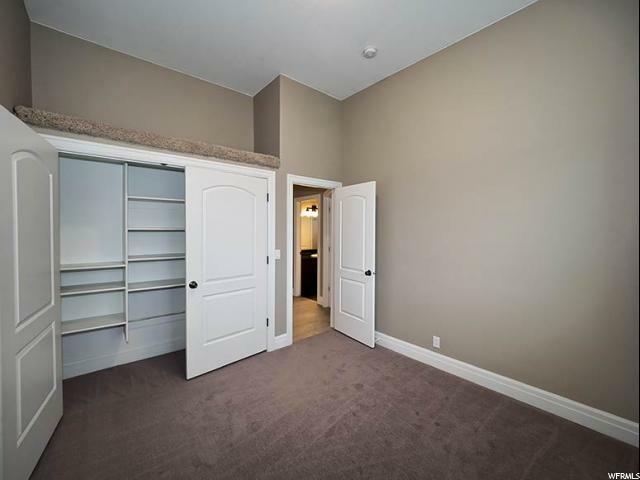 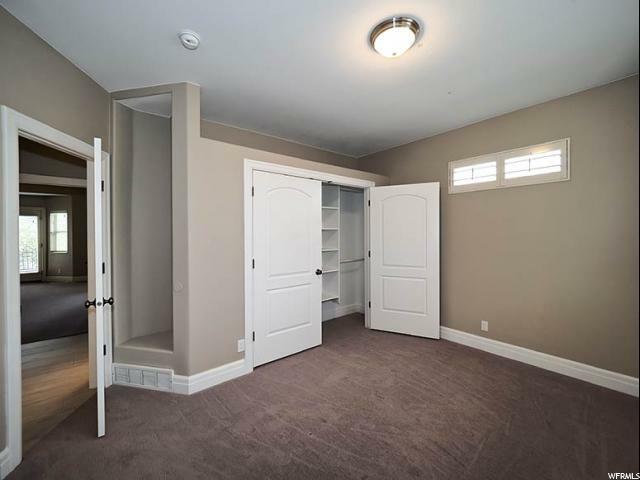 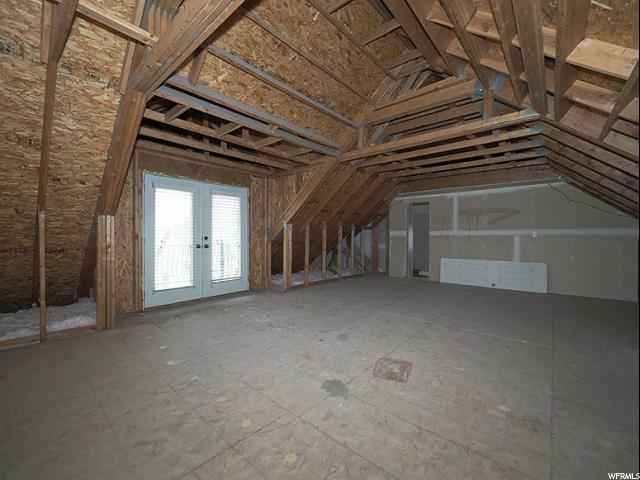 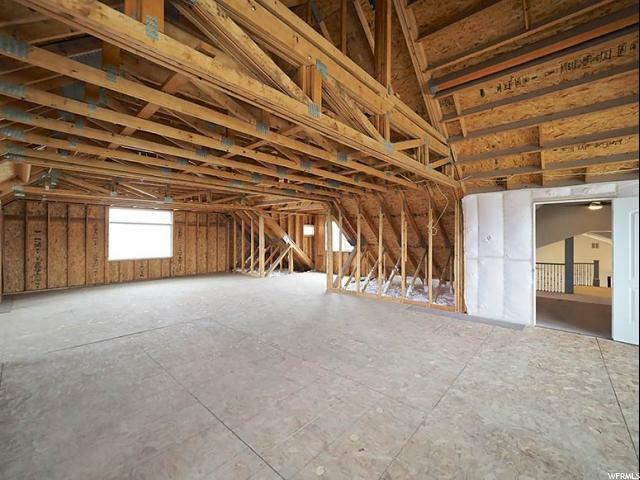 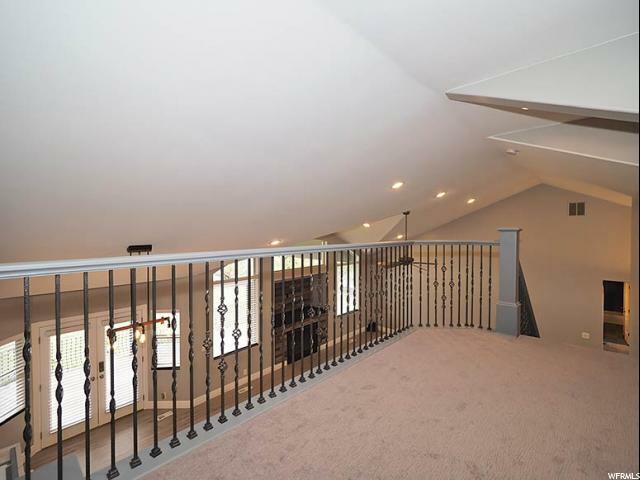 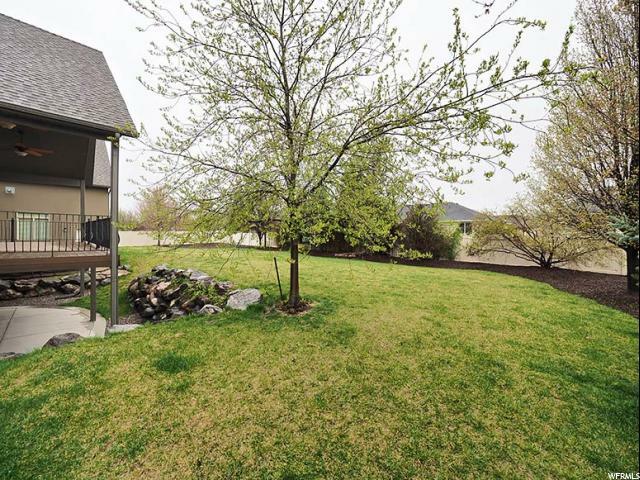 Walkout basement has recently been finished with a 2nd kitchen & access to covered patio. 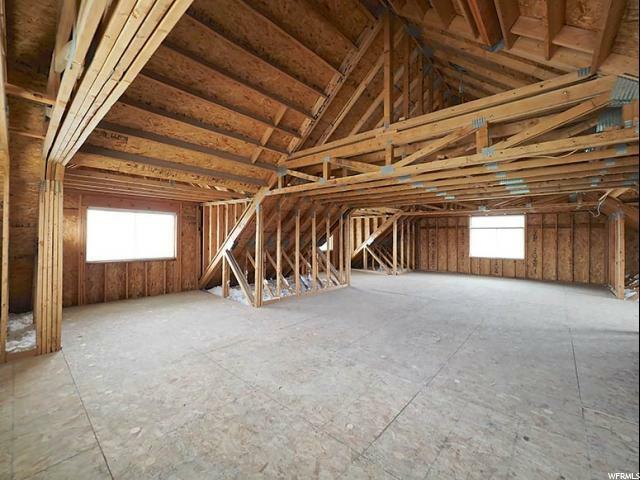 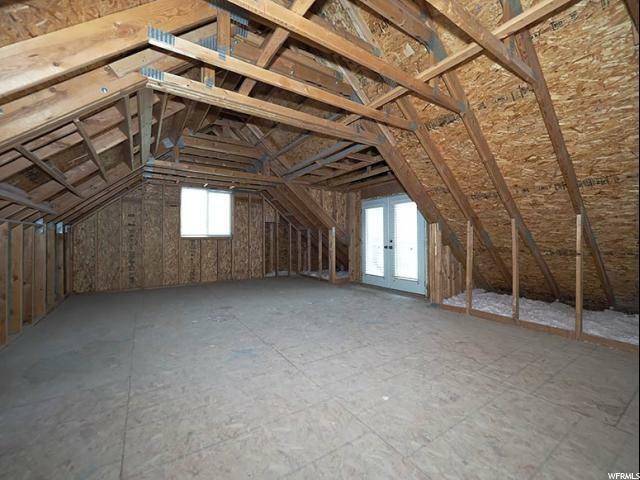 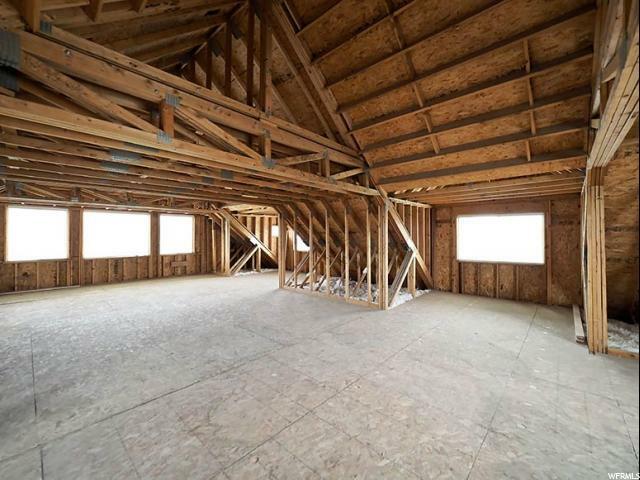 Upper floor has approx. 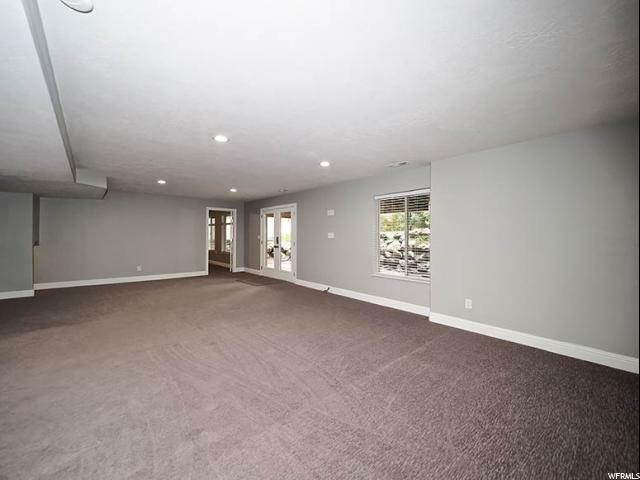 2,000 SF that is unfinished. 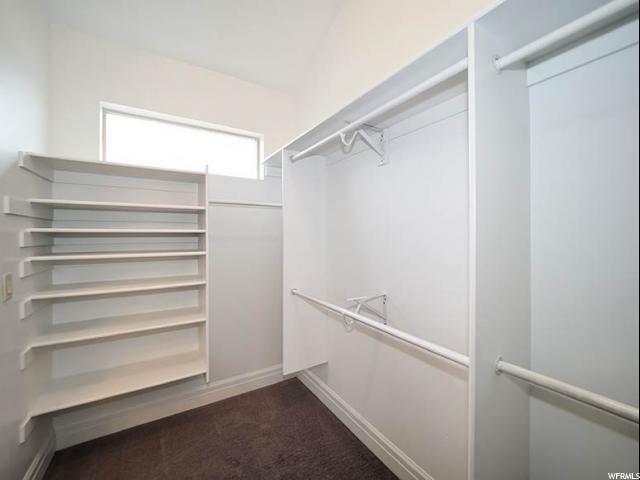 Perfect for storage, theater, or additional bedrooms. 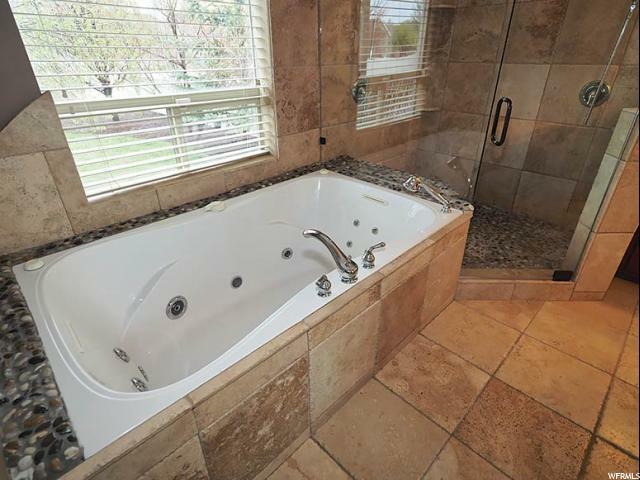 Home faces a South Jordan park. 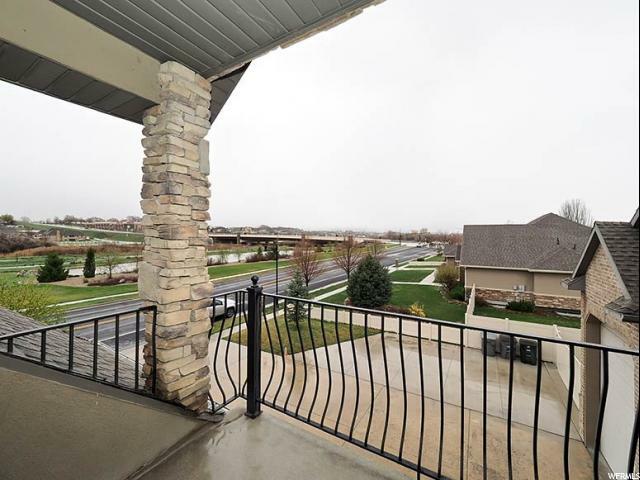 Enjoy beautiful mountain views plus easy access to the Jordan River Trail. 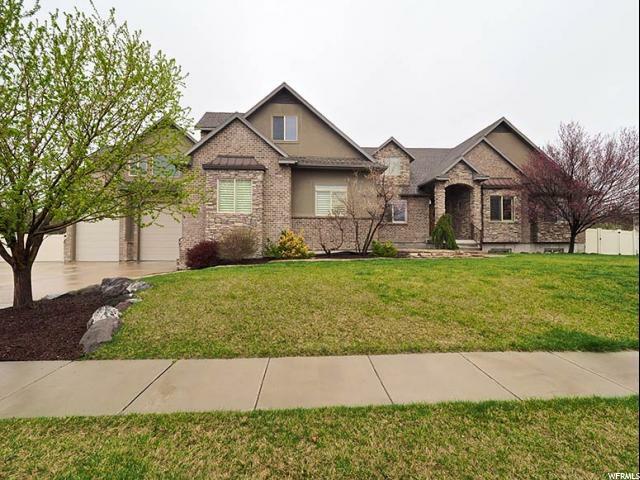 Call today to arrange your private showing! 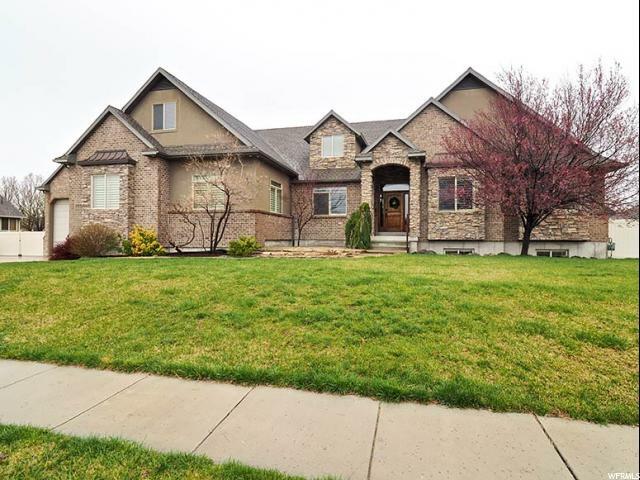 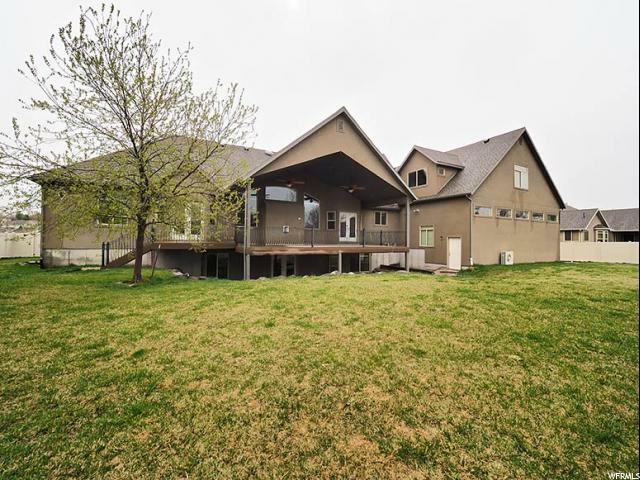 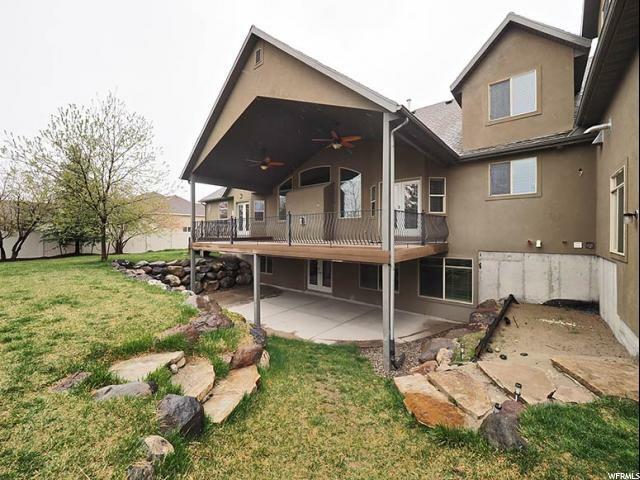 I would like more information regarding the property at 11312 S RIVER FRONT PKWY, South Jordan UT 84095 - (MLS #1592862).